Would YOU like to discover your own true happiness? Right now, you spend 24 hours a day searching for happiness. It's the single motive behind absolutely every action you take. But are you experiencing enough genuine happiness in your daily life? If not, you need to take action. This book is a mini-course in mega-happiness. 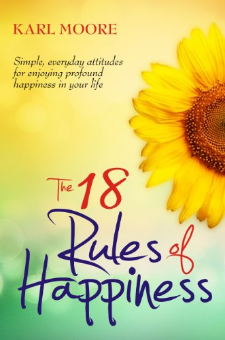 It unveils 18 simple secrets that you can use to begin enjoying profound happiness and freedom in your life. From effortless shifts in attitude to powerful mind-body "hacks", this guide will show you how to easily tap into the sunshine that already exists within you - and, quite simply, become the happiest person you know. Includes FREE downloadable MP3 version!